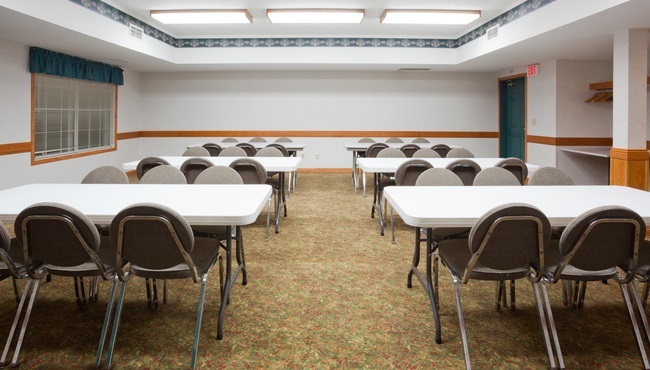 Whether you’re hosting a professional business meeting or an intimate social gathering, the Country Inn & Suites offers flexible event space ideal for any occasion. Our 500 square feet of space can be arranged in a variety of configurations to encourage bonding at a family reunion or increase productivity at a corporate brainstorming session. Attendees can stay connected with free Wi-Fi, and out-of-town guests enjoy our convenient location near Highway 10.